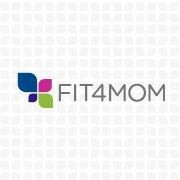 FIT4MOM offers several full body fitness programs for all stages of motherhood. A stroller, yoga mat, and water. Please note, kids must stay in stroller during the workout. Please note, this class meets in the parking lot of the Star Creek housing development, by the community room and pool area. You can access this area off of Star Creek Parkway, which is between North Watters Road and HWY-75 by the Allen outlet mall.